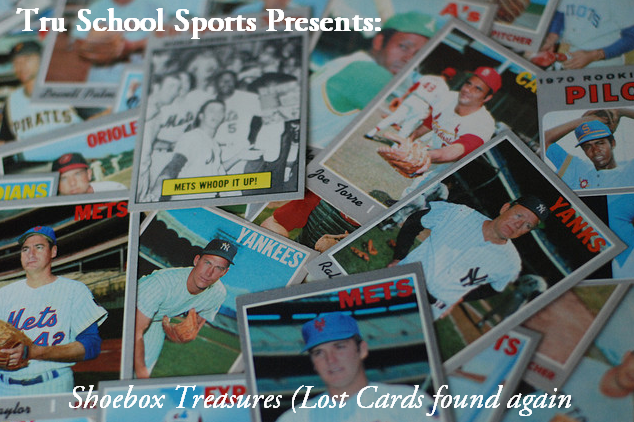 Baseball cards are cardboard time Machines. If you are into the hobby like me and many of the people who follow this blog then you know that over the course of time due to The large amounts of cards you possess that you may lose or misplace cards. You may lose cards in boxes and never see them for year but when you relocate hem it feels that you have purchased he world. This happened to me the other day when I relocated some Jersey Cards and Autographs I hadn’t seen in a long time. The 1st card I located comes from that great 2007 Upperdeck SPX set and features a Rookie Signature of Beltran Perez of the Washington Nationals. Perez’s stint in DC was very short starting 3 games and collecting a 2-1 record along with 3.86 ERA towards the end of the season. He hasn’t pitched in the Majors since. In 2005 while with Arizona he was traded to he Dodgers organization for Shawn Green. 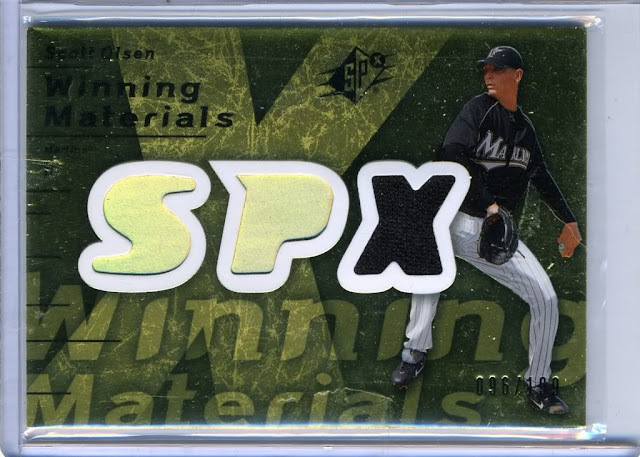 Card number two I located was this 2006 edition of Sweet Spot’s “Super Sweet swatches” or jersey Card Featuring Jason Schmidt. The 3 Time All-Star posted back to back 15+ win seasons in 2003&2004 but that magic was never duplicated when he played for the rival Dodgers. 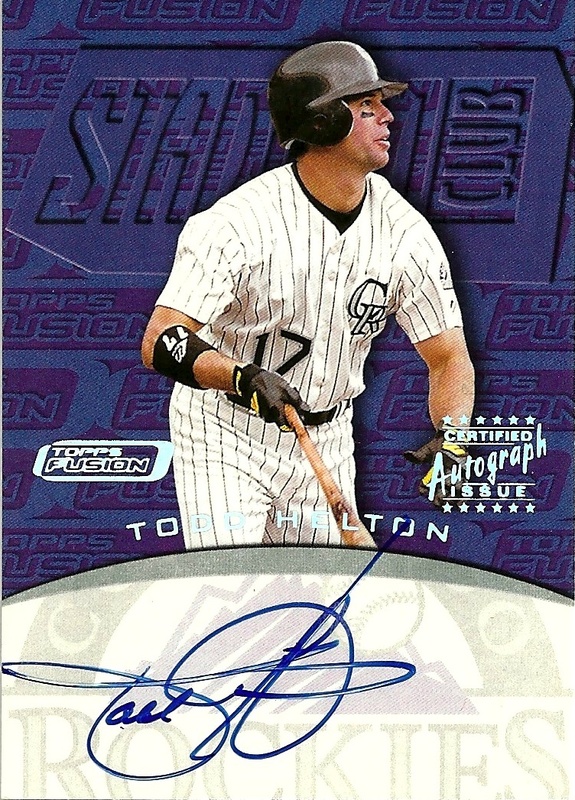 Card number 4 features a young Todd Helton on a 2000 edition of Topps Fusion with a signature to go along win it. 2000 Was a memorable year for the face of the Rockies as he took a 400. Batting average into the season’s final month but finished at 372. He is the closest anyone has gotten to hitting 400. Since Ted Williams. 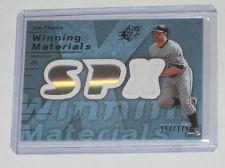 Card five Is yet another 2007 Upper Deck SPX Jersey card of future Hall of Fame slugger Jim Thome. 2007 was a big year for Thome as he became the 23rd player to hit 500 homeruns and join that exclusive club. His was a bit more special though as he did it on a walk off Homerun a first in Major league history. The Last Card features one of the most talked about players from the 2007 season which is Daisuke Matsuzaka. The Card I found on him is special and limited. This was a redemption card meaning you can’t find It in a pack. You get a certificate with info in the pack you fill out a form and send it to Upper Deck. They send it back to you and there are only so many manufactured. The one I happened to have is an SPX Rookie Signature of Daisuke that happens to be very rare and not many have so It’s probably the best card I found although he never lived up the hype in Boston. Nice! I love the Helton! On another note, shoot me your address, I have some cards to send you! Nice cards... especially the Helton and Dice-K. By the way... Tony Gwynn holds the honor of being the guy who's come closest to hitting .400 since Ted Williams accomplished the feat. Gwynn hit .394 (actually .3938) in 1994. Sorry... don't need to come off snobby. Just supporting my favorite player of all-time. Thanks for reading! And yeah Idk how I forgot about Gwynn what I meant was Todd Helton was the closet most recntly because he did it in the 2000 season. Gwynn isn't a bad favorite player to have I respect that. Thanks and great Blog man I will defiantly be keeping my eye on your blog. Very nice finds. Let me know if that Schmidt is for trade, I am a Giants collector. Thanks and yeah sure it is if you have any Marlins Jersey or Auto's worth having we can swing a deal for sure.